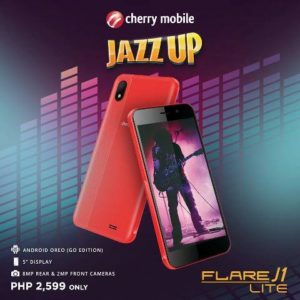 Cherry Mobile introduces another budget handset this 2019: the Cherry Mobile Flare J1 Lite. Retailing for P2,599, the Flare J1 Lite runs on Google’s Android Go system, which optimizes performance for entry-level devices. This wallet-friendly smartphone comes in Black, White, Blue, and Red colorways.